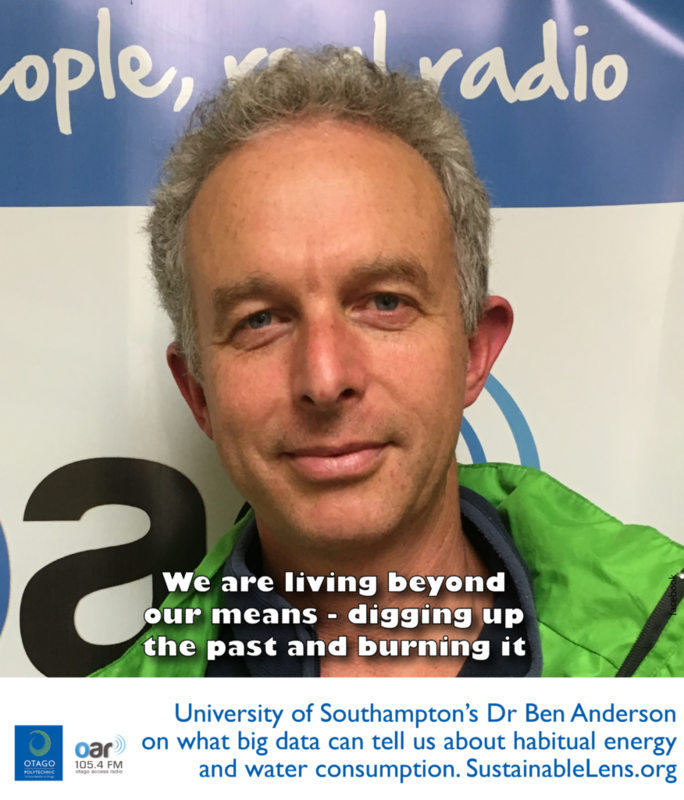 Dr Ben Anderson is Principal Research Fellow in the Energy & Climate Change Division of the Faculty of Engineering and the Environment at the University of Southampton, UK . We ask what big data can tell us about habitual energy and water consumption. Living beyond our means. We are currently living outside of our day-to-day means as a global population, because we are digging up the past and burning it. So I would define sustainability as living within our day-to-day energy means such that we can continue to continue living on the planet. Ask yourself how can New Zealand be a shining light in terms of research, innovation and building capacity in a future way of living? Try to burn less, try to consume less, have a think about what you are doing and when you are doing it.